Make your hair look and feel healthy again with salon quality hair care from stylist endorsed brands. Enjoy up to 30% off haircare from Kerastase and enjoy a free gift when you spend £70 on the brand. Enjoy professional styling tools at home with £24 off the IV Styler. 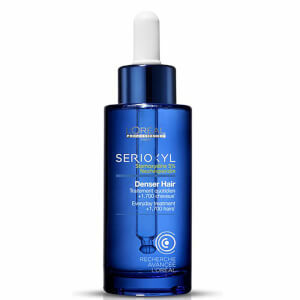 Achieve beautiful hair with 25% off L'oreal Professionnel. Plus receive a free gift when you spend £50 on the brand. Achieve enviable hair with up to 30% off Redken. Plus, receive a free full sized gift when you spend £50. Invest in salon quality haircare and tools from Paul Mitchell, and enjoy 15% off onsite now. Enjoy 20% off luxury haircare from Grow Gorgeous. Plus receive a free gift when you spend £80. With targeted regimes and treatments to suit every hair type, discover a range of haircare essentials that will noticeably improve your hair condition. 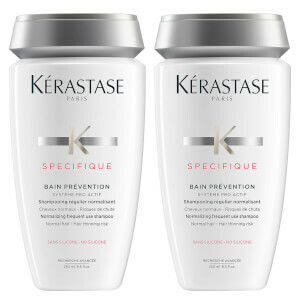 Replenishing moisture to even the most damaged hair, there's a solution to every haircare concern. In our luxury ranges, expect to find the best shampoo for dry hair, the best hair oil and the best hair mask, all working in harmony to give you a salon-worthy finish. Our bestselling brands span from Kérastase to MoroccanOil.